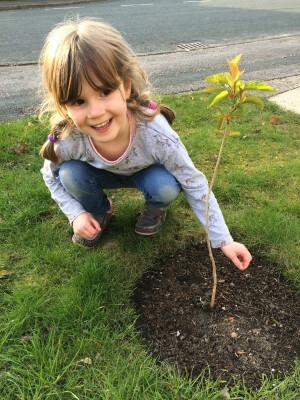 We’ve received some lovely photos from our children, and their families, of their free Woodland Trust trees they took home to grow. We have now achieved the Bronze Award on the ‘Woodland Trust’s Green Tree Schools Award’ and we are currently working towards the Silver Award. 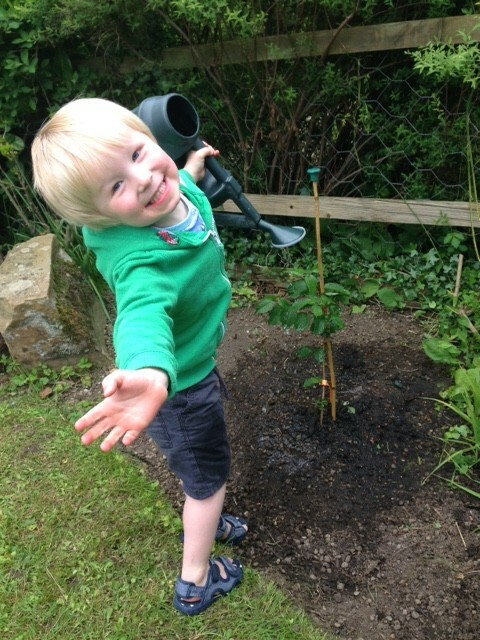 We have received: Silver Birch, Cherry, Downy Birch, Rowan, Oak, Crab Apple and Dog Rose varieties. The fruity trees were the most popular. 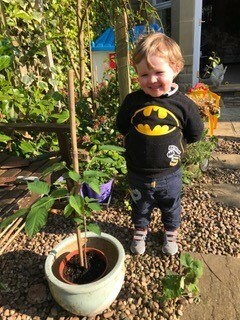 A proud gardener with his tree. 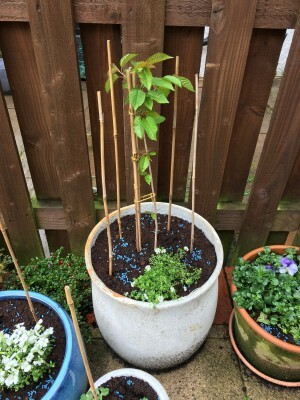 Another tree all potted up and ready to grow. This one’s gone straight into the garden.